Hey guys! Just a three-photo post today, because this recipe was never meant to be a real recipe. Actually, I made all the photos in this post for another post I was planning on doing. A post on Easy Chocolate (Swiss!) French Buttercream. Unfortunately, the chocolate buttercream didn’t quite turn out the way I’d hoped. As in: yuck, yuck, YUCK! But luckily, this stuff was absolutely dreamy and glorious and delicious and soooo worth dedicating a blog post to, so a three-photo post it is! That makes sense right? It’s just one of those happy kitchen mistakes! But wait, what’s all that ‘easy (Swiss!) French buttercream’ stuff all about? It’s a funny title, isn’t it? Well, it is what it is! I made a Swiss French buttercream. And because ‘Swiss French buttercream’ is probably a little too confusing, I decided to put ‘Swiss’ in brackets! So, what exactly is ‘(Swiss!) French buttercream’? It’s easy! We all know about Swiss buttercream, right? Which is basically a Swiss meringue enriched with tons of butter. And then there is French buttercream, which is made by mixing hot sugar syrup into egg yolks and then adding a ton of butter. These two different kinds of buttercream have one thing in common: both are made by enriching a ‘sweetened egg foam’ with – oh yeah – butter. But where the Swiss buttercream is made with egg whites, the French buttercream is made with just the yolks. And that’s not the only thing that’s different between these two delicious frostings! The most important difference lies in the cooking method. As you may remember from my ‘Different Kinds of Meringue‘ series, Swiss meringue (and, consequently, Swiss buttercream) is made by gently heating a mixture of sugar and egg whites over a hot water bath until the sugar dissolves. The result? A deliciously smooth meringue! No crunchy, undissolved sugar crystals. No grainy texture. Just smooth perfection! Incidentally, this method also allows you to pasteurize the egg whites by bringing the temperature of the mixture up to 71°C/160°F, thus making your meringue salmonella safe! Which means that you can use Swiss meringue to make completely salmonella safe buttercream! 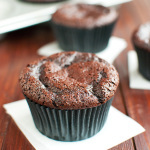 French buttercream, on the other hand, is made by first mixing hot sugar syrup into egg yolks. The resulting mixture is called a pâte à bombe. (And no, I don’t know how to pronounce it either…) Making a hot sugar syrup is very easy and the result is perfectly delicious and dreamy. Buuuuut the downside of having to make a sugar syrup, is that you need to bring the syrup up to a very specific temperature in order for the recipe to work. In other words: you’ll need a sugar thermometer (or a multimeter!) to make French buttercream. And not all home bakers have one. 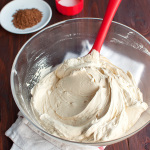 Which got me thinking: is it possible to make French buttercream without a sugar thermometer? Using the Swiss meringue method? Because hey, French buttercream is deeeeeelicious! Seriously. Because there are yolks in French buttercream, it’s smoother and richer in taste than Swiss buttercream. It’s amaaaazing! In fact, I think it’s better than Swiss buttercream. 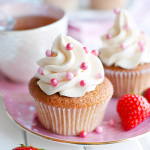 So, question of the day: can you make a buttercream that is as luxuriously smooth and rich as French buttercream, but which doesn’t require the use of a sugar thermometer? First, grab a couple of eggs. You’ll need five for this recipe. Well, five yolks! So if you just made an egg white omelet or meringue or something, it’s your lucky day. Grab those yolks and plop them in a bowl. Add sugar and whisk, whisk, whisk! Seriously, start whisking right away, otherwise the sugar will ‘burn’ the yolks. By the way, the person who came up with that term is in idiot. Cold sugar doesn’t burn anything, right? 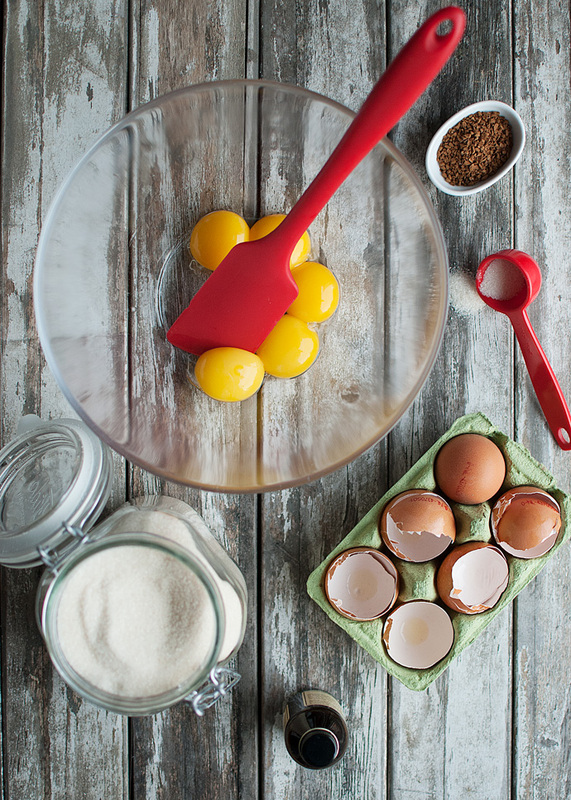 What happens is that the sugar reacts with the yolks, forming hard lumps of protein. These lumps make it impossible to end up with a dreamy, velvety smooth buttercream, so make sure you start whisking as soon as you add the sugar! Anyway, once the mixture is foamy, I added a teaspoon of vanilla, because… VANILLA! Plain and simple. And then… I added a teaspoon of instant coffee granules. Which really was the BEST decision ever! Remember how I had planned on making chocolate buttercream? Well, some people like to use a hint of coffee to enhance the flavor of chocolaty things, such as buttercream, cake or ice cream. That’s why I added it. Looking back, I think I may have added a little bit too much for a chocolate buttercream, because the coffee really packed a – delicious!! – punch! Anyway, once I had whisked in the flavorings, I placed the bowl over a pan of simmering water to dissolve the sugar and turn the mixture into a sweet yolky syrup. But wait! You can pasteurize Swiss meringue, right? And make it salmonella safe? Well, you can do the same thing here! You can totally pasteurize the yolks! I wasn’t really sure it was going to work, but it worked perfectly! The yolks didn’t set or curdle or anything. As I explained in my post on Swiss meringue, the added sugar actually protects the proteins in the yolks against the heat, so I could bring the mixture up to a temperature of 64°C/147°F! I browsed the web, and it turns out that yolks start to thicken at a temperature of 65°C/150°F and the salmonella bacteria cannot survive temperatures higher than 55°C/131°F. Because I was afraid the yolks would cook, I didn’t dare take the mixture up to 71°C/160°F, so to make sure I killed all the bacteria, I kept the yolks at a temperature of 64°C/147°F for about ten minutes, whisking constantly and taking the bowl off the heat whenever the mixture was getting too hot. Because you do need to do that; keep the mixture at a high temperature for a while. This can be a pain, because it requires a lot of taking the bowl off the heat and putting it back on again to regulate the temperature, but if you really want to pasteurize the yolks, this is the way to do it! So guess what that means? Normally, French buttercream is not salmonella safe. Although some people like to argue otherwise, pouring sugar syrup with a temperature of 113°C/235°F into a bowl of egg yolks (or whites, for that matter) doesn’t bring the temperature of the yolks up enough to pasteurize them. But if you pasteurize the yolks this way, the resulting buttercream is completely safe! Anyway, once you’ve either just dissolved the sugar into the yolks or completely pasteurized the mixture, it’s time to start whipping. Whip, whip, whip until the pâte à bombe thickens and drops in ribbons when you lift the beaters out of the bowl, and the mixture feels cool to the touch. At this point, you can start adding cubes of butter that have been softened at room temperature. I usually take the butter out of the fridge a few hours before I plan on making buttercream. The butter needs to be really soft (but not greasy!) in order to properly combine with the pâte à bombe. Add a few cubes of butter at a time and mix until all of the butter has been added and the mixture looks fluffy, smooth and delicious! Seriously guys, this stuff is amazing! It’s rich and smooth and perfect, with an amazing coffee flavor! A really easy way to make French buttercream. This is an easy way to make a delicious buttercream that is as rich, smooth and perfect as French buttercream. The only difference between traditional French buttercream and this buttercream? You don't need a sugar thermometer. Plop the yolks into a medium-sized, heatproof bowl. Add the sugar and immediately whisk until foamy. 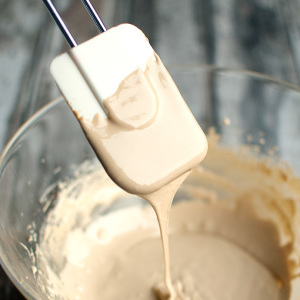 Add the vanilla and coffee and whisk until combined. Place the bowl over a pan of barely simmering water (making sure the water doesn't touch the bowl) and heat, whisking constantly, until the sugar has dissolved. You can check whether the sugar has dissolved by rubbing a bit of the mixture between your fingers. If you want to pasteurize the yolks and make the buttercream salmonella safe (I recommend doing this if you're planning on serving the buttercream to kids under the age of five, the elderly, pregnant women or people with ill health), gently heat the mixture to a temperature of 64°C/147°F, making sure to keep the mixture at that temperature for about 10 minutes to kill the bacteria. You will probably have to repeatedly take the bowl off the heat and put it back on again to regulate the temperature of the mixture. Once you've pasteurized the mixture, proceed with the recipe. Remove the bowl from the heat and mix (using a mixer) until the mixture thickens and drops in ribbons when you lift the beaters, and has cooled to room temperature. Sprinkle in the salt and mix until combined. You have now made pâte à bombe! At this point, start adding the softened butter one cube at a time, mixing continuously. Once all the butter has been added, the buttercream is ready to use. 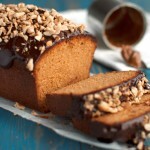 Use it as a filling between cake layers or cookies, or pipe big swirls of this stuff onto cupcakes! Buttercream can be stored, covered tightly with plastic wrap, in the fridge for up to 1 week (and for up to two months in the freezer, in a zippered bag). 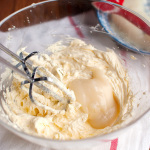 To use buttercream that has been chilled, allow it to come to room temperature first, then mix until soft and spreadable again (about 30 seconds). *Freeze the egg whites for a later use! Always allow pastries filled or decorated with buttercream to come to room temperature before serving. This may take up to 5 hours, depending on what you're serving (cakes take longer to come to room temperature than cupcakes), but it's worth it! 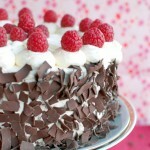 Buttercream is at its absolute best eaten at room temperature! I am trying this technique right now!! 😀 Very excited! I love French Buttercream but wanted to “kill off” the bugs! Can’t wait to try this technique! Thank you for the idea and the post with instructions! Hi Dini, nice to meet you. You’re so welcome 🙂 I was thrilled when I discovered this. 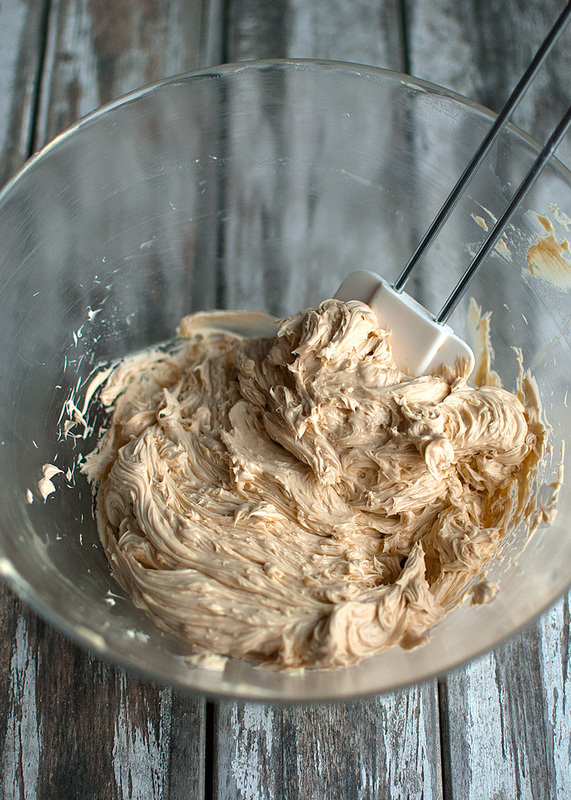 It makes the perfect coffee flavored buttercream! Hello! I’ve been trying to find a substitute for regular buttercream because mine always has a grainy texture, then I stumbled across this recipe. I want to try making it soon and as I was reading through this you said you could do this recipe without a thermometer but there were a lot of temperatures stated and I wanted to know how to get to these temps without a thermometer. I was also wondering if I could skip on the coffee granules as I am not a big fan of coffee. Thank you so much! Yes, you can make it without a thermometer. 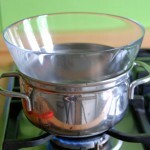 Just heat yolks and sugar in the bowl of a double boiler until the sugar has dissolved, then proceed with the recipe. However, you cannot properly pasteurize the mixture, and thus the resulting buttercream, without a thermometer. Why not use pasteurized eggs to begin with. As a chef this would be my only recommendation. Pasteurized eggs are readily available these days almost everywhere these days. There is never an excuse though for taking that extra step to ensure food safety. I usually make SMBC but this is very interesting. I am going to try this but was wondering if this would cover an 8 inch cake. Doesn’t seem to make very much. What if we use the whole egg with this Swiss method? Has anybody tried? 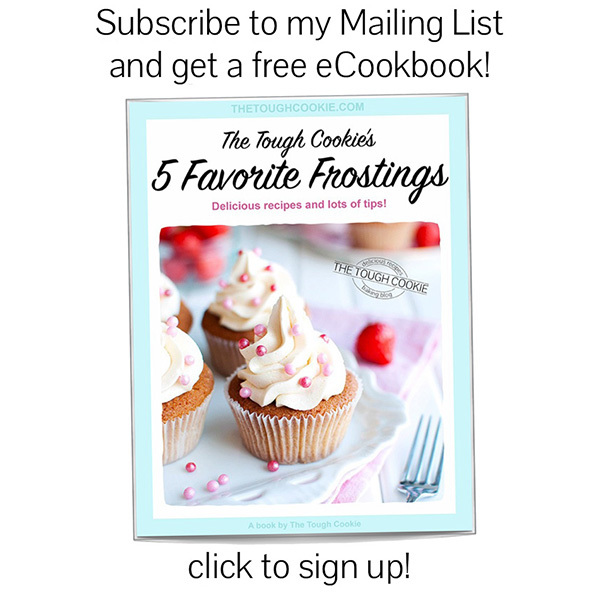 Thank you sooo much for sharing your recipes! Your blog is intelligent and beyond amazing! Would you please contact me at my email address given so that I can send you a PDF recipe of mine for Vanilla Bean Cupcakes with Buttercream Frosting? I adapted your recipe for the frosting to be regional to the Great Lakes area. I am finishing up a two-year book project which I hope to submit for publication within two weeks. I want to credit you for your ingenious pasteurization method which I also applied in another awesome way that I’d like to tell you about. I look forward to hearing from you. Hi Ashley, just to be on the safe side, keep this buttercream in an airtight container in the fridge if you want to keep it for more than four hours. As you know, butter and eggs are very perishable. 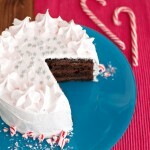 Allow the buttercream to come to room temperature before you want to use/serve it. This may take up to four hours! i was wondering about the consistency of this buttercream frosting as I’m planning on using it as the filling of my macarons. Do you think it will be too soft and dribble out of the sides? Will it melt if left out in the heat for too long? Another question: Can i use fruit purees or jams to flavour this buttercream? I’ve tried flavouring your recipe for Swiss Meringue Buttercream before and it held up beautifully even after lots of jam was added to it, without ever turning soft and soupy. Can I do the same for this? Finally, if you don’t think this Swiss-French buttercream is a suitable macaron filling…I’m wondering if you have any suggestions? In particular I am trying to use up some extra egg yolks from the macaron’s meringue because last time I filled my macarons with SMBC and was left with a lot of egg yolks that ended up being wasted 🙁 Would the German buttercream made with pastry cream be a better idea? Or would the ‘normal’ French buttercream work? Thank you so much and I’m sorry for all those loooong questions!! 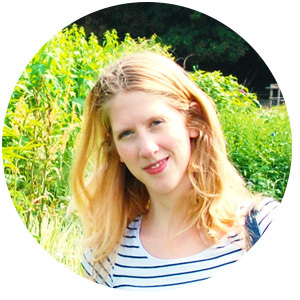 I love your blog and was so glad to hear that your thesis writing is almost at an end and those recipes will be coming back on a regular basis soon! I wouldn’t flavor this particular buttercream with jam though. I’m sure it would hold up, but I personally think the flavor of this buttercream doesn’t pair well with fruity flavors. It’s great with stronger flavors, like coffee, chocolate, or caramel. But if you’re set on using jam, make a test batch first to see whether you like the taste! hello there! 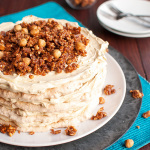 ill try to make a swiss buttercream and i want to flavor it with caramel but how do i do it?is the caramel sauce you expalin on another page it?i only need to mix sugar and water, nothing else?i cool it down and mix it into buttercream? help me put please! 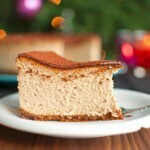 Hi Eva, how best to give a buttercream a caramel flavor depends on the buttercream you want to make. 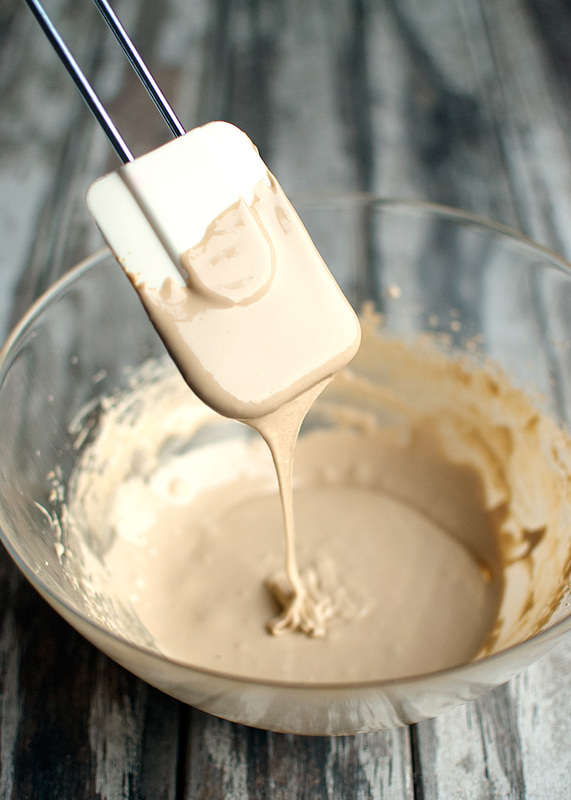 If you want to make a Caramel Swiss Buttercream, try adding about one fourth of a cup of this salted caramel sauce to a batch of unflavored Swiss buttercream. Sooooooo, I know this is dumb, and maybe it’s just late, but I kept reading and rereading this post…….. Until I finally figured out that there’s an implicit subtitle a “real” baker would have inferred: no sugar thermometer required but yes, some other kitchen thermometer is in fact still necessary. I suppose, now I’ve also read the other comments, I can take heart in at least one other reader not immediately getting it. Sigh. One day! Hi Tessa, I’m sorry the post is confusing. You don’t need a sugar thermometer for this recipe, actually. Only if you wish to pasteurize the yolks! But if you’re not worried about salmonella (which I’m usually not) you can make this buttercream without a kitchen thermometer. i made french and swiss i used the the whites for one and yolks for the other so no waste i froze one and used one two weeks later i made to many cakes and cupcakes. the love me. I did what Kelma did and used egg white for swiss, and yolks for french buttercream. I’d say they re very close but i liked ur recipe (didnt use the instant coffee) . Thank u so much for sharing this, it does taste really really good. Is the buttercream stable enough for piping flowers? I was wondering if we can divide the sugar for the bain marie and syrup (swiss and italian method combined) to make it more stable 😀 have you ever tried doing that before? Thank you. To answer your question: I’ve never piped buttercream flowers myself and I’m not completely sure how stiff the buttercream should be in order to be able to pipe flowers. But this buttercream is pretty firm and holds its shape really well, so you might want to give it a go! Made a sponge with the whites and used the yolks for the butter cream (with cherry compote and toasted almonds to cut the richness)! 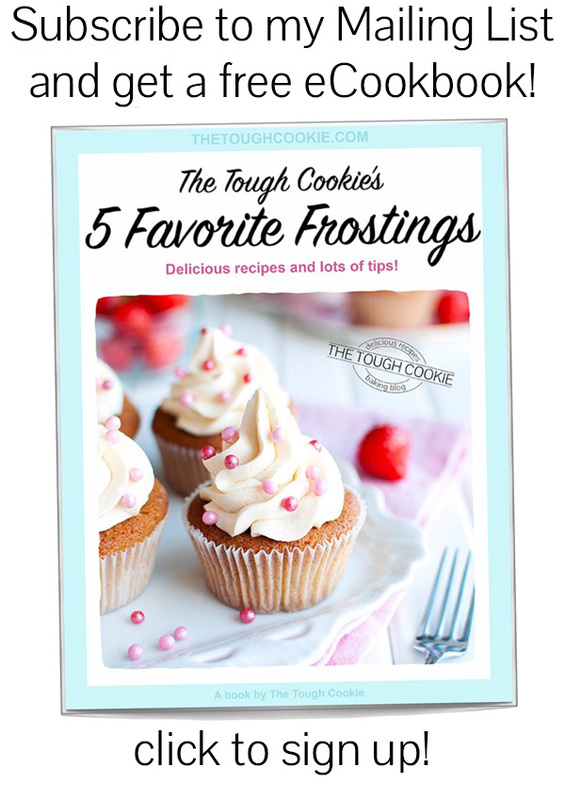 Thanks for the recipe Tough Cookie. Oh and flavoured instead with vanilla and frangelico. Oh, got it 😉 Have to read before I type… Sounds delicious! I looove Frangelico. Wow Tim, that sounds delicious! I’m so glad you like the recipe ???? Did you make a coffee buttercream? Woah, sorry, that’s really not meant to be one star but I can’t see how to change it now! 5 Stars! 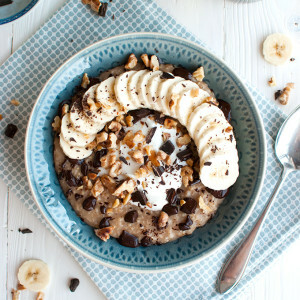 I just tried this recipe today and it was amazing. I substituted instant coffee for instant matcha green tea because I was making it for a friend who loves green tea. Earlier I tried Martha Stewart’s Swiss meringue butter cream and I had to discard it because it was too sweet. I’m happy with how this one turned and want to try more if your recipes! 1. I’m still looking for a less sweet buttercream because I have type 1 diabetes. 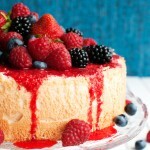 Which of your recipes is the least sweet? I want to try it. About your questions, my recipe for flour buttercream (also known as ermine buttercream) gives you a lot of freedom when it comes to sweetness. Because it’s pudding based, you can use whatever sweetener you like in whatever quantity you like without compromising the buttercream’s texture. 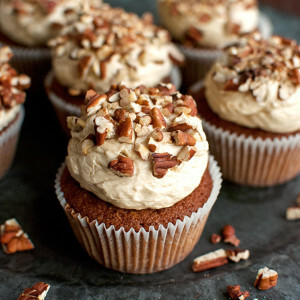 And because it’s made with milk, it’s also the best choice for making Earl Grey buttercream. Just warm the milk almost to scalding point, add a few Earl Grey tea bags, and allow to sit for about 30 minutes to infuse the milk with the Earl Grey flavor. Discard the tea bags and proceed with the recipe. If you really want to get the Earl Grey flavor into this Swiss French buttercream, you can infuse the butter for the buttercream with the tea. If you like to learn more, check out this post. Please let me know how it turns out! And if you have more questions, I’m happy to help! Hello, tried it this weekend, perfect. With the whites I made macarons, and used the cream as the filling. Thanks for taking the time to share your cooking experiments! 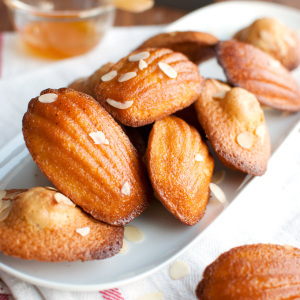 can we use caster sugar in this recipe? Like the previous macaron maker in the comment section, I’m also looking for a not-so-sweet buttercream for my macarons. I noticed you mentioned using flour buttercream instead. 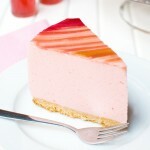 Is it possible to eradicate sugar from that recipe entirely? Or do I still need to add a little? Also, what exactly would happen if I didn’t add as much sugar to this buttercream? As they’re for macarons, I’m not too bothered with the pipability or shape-holding, I just don’t want it to turn into a runny mess that soften macarons before sundown (that’s happened to me so many times.) I only ask this because I was super excited about finding a recipe that uses up the egg yolks since I always feel so bad about wasting them. Unless, of course, I could incorporate the egg yolks into flour buttercream? Or is that just madness?